CEDAR RAPIDS, Iowa (August 26, 2016)-The Kirkwood Eagles volleyball team started the season off on the right foot with a win against the Grand View University Junior Varsity team on Thursday night in Johnson Hall. After dropping the first set 23-25, the Eagles rallied to win the next three in convincing fashion 25-14, 25-12, and 25-15 for a season-opening victory. Kirkwood, ranked eighth in the nation, looks to improve on their Region XI-B Championship and seventh place national finish in 2015. Last season, Head Coach Jill Williams led the team to a 28-15 overall record while going 6-2 in the conference. The team will have to rely on veteran leadership to better that mark this year. 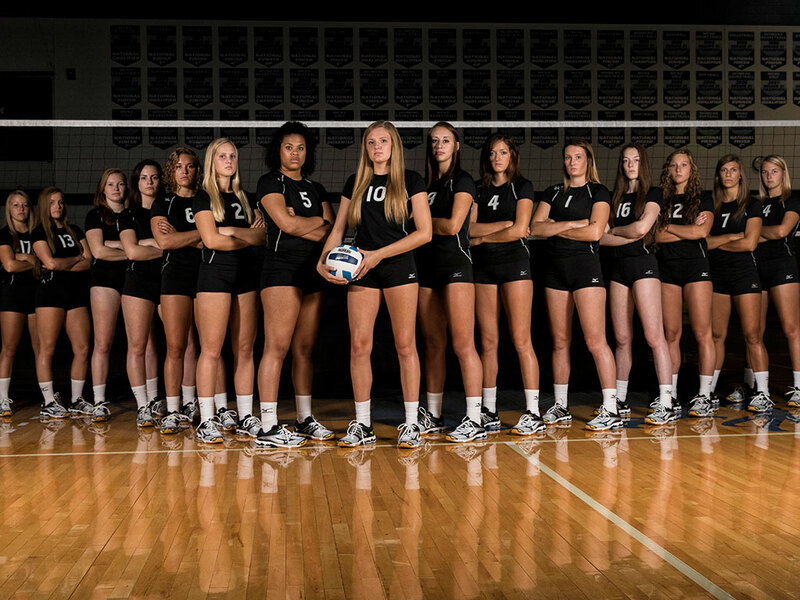 Williams’ squad returns six sophomores highlighted by middle blocker Alex Miner and outside/right side hitter Morgan Grimm, who were both named Second Team All-Region following the 2015 campaign. Grimm also earned Honorable Mention All-Conference honors and was named to the Region XI-B All-Tournament Team. Both players, along with the other sophomores, are expected to show the freshmen how to play at the college level as the season moves forward. Alexa Whipple, a freshman outside hitter from Story City, Iowa, had a great first game as an Eagle with nine kills. Whipple and the seven other members of the 2016 freshman volleyball class must continue to contribute if the team is to repeat as the Region XI-B Champions. The team goes on the road for a tournament in Wisconsin Dells on August 27, before returning home to face conference foe Iowa Lakes Community College on August 31. For more information on Kirkwood volleyball, as well as the rest of Kirkwood Athletics, go to www.kirkwoodeagles.com.